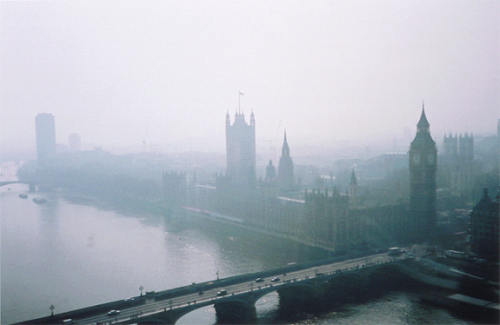 London’s Westminster is a melting pot of modernity and tradition. This is a place where ancient churches and palaces mix with the inevitable buzz of the capital. Kids on hover-boards glide through Trafalgar Square while the bodies of ancient monarchs sleep soundly within the walls of Westminster Abbey. Stay in a Portland Brown serviced apartment in Westminster to truly immerse yourself in the historic, political heartland of London and the UK. The story of Westminster started more than a thousand years ago when a group of Anglo Saxons, who were living around Downing Street, built a small church. The church (“minster”) was built on the west side of Lundenwic, an Anglo Saxon trading centre, and so, it became known as “West-minster”. West-minster was built on Thorney Island, an ancient landmark formed by the Thames and Tyburn Rivers, just upstream of mediaeval London. Today, the old Thorney Island sits quietly beneath Parliament Square, forming its foundations. Westminster Abbey occupies the island’s highest point with the surrounding streets – Storey’s Gate, Great Smith Street and Great College Street – tracing the routes of streams that once flowed through here. In the Middle Ages Westminster was considered separate to London. Fields separated the two areas and they were connected only by The Strand, a road that ran along the marshy banks of the river Thames. The Strand still exists today although it has since been moved further inland. It wasn’t until the late 17th Century that the area started to develop a more grand reputation. Streets began to be laid out and the marshland of St James’s Park was given new life when it was drained by Henry VIII to be used for hunting. When Charles II came to the throne, it was reinvented as the people’s park, open to pedestrians. 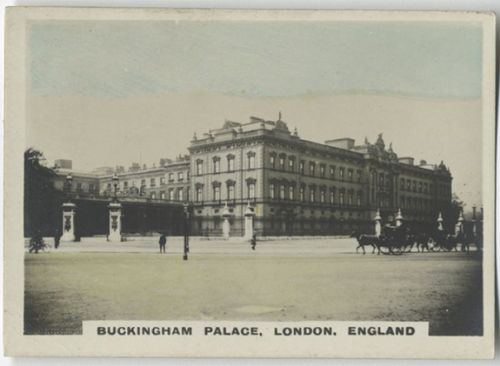 Around this time, landmarks started to spring up all over Westminster: in 1703 Buckingham Palace was built for the Duke of Buckingham, although the first monarch to live there was not until Queen Victoria in 1837. Generally considered to be the first British Prime Minister, Robert Walpole was given 10 Downing Street in 1732 by George II. He reinvented the building as the official residence of the British PM, sparking a trend that continues to this day. The buildings of Horse Guard’s Parade followed, finished in 1755 and the Royal Academy of Arts was founded in 1768. The Houses of Parliament, for a long time known as the Palace of Westminster, have their own history. Built by the penultimate Anglo Saxon King, St Edward the Confessor, at the same time as Westminster Abbey. The palace welcomed politics. As far back as 1265, Simon de Montfort’s parliament (the first to include representatives of all the major English towns) met in the Palace, as did the first official Parliament of England, the Model parliament, in 1295. Fire in the early years of Henry VIII’s reign made the King move out to the Palace of Whitehall, leaving Westminster to be used by the two houses of parliament and various royal law courts. It was in the 18th century that the Palace of Westminster started changing dramatically, shifting into the Houses of Parliament. With limited space, Parliament was struggling to do its business properly. Instead of building a new palace, more buildings were added to the existing palace. After another fire in 1834, it was the task of architect Charles Barry in collaboration with Augustus Pugin to re-build the palace. Barry combined gothic and classical elements while Pugin focused on gothic interiors – wallpapers, carvings, stained glass and floor tiles. Over the years, the building again and again was proving its resilience – surviving fires and drastic change. It was during the Second World War that the houses of Parliament were really tested. During the Blitz, the building was bombed on 14 separate occasions. Yet it still stands, resolutely, today. 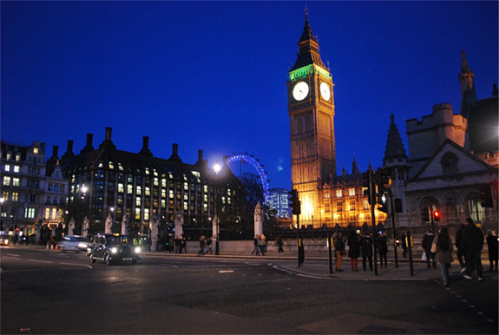 In modern day London, Westminster has become synonymous with politics. The area is home to politicians, falling out of the parliament bar and into black taxis and journalists, cruising the corridors of the Houses of Parliament and the restaurants nearby, sniffing out stories. It is also a tourist hub, local Londoners side-step selfie-sticks on Westminster Bridge. Westminster is where London, in all its forms, comes together in a beautiful and chaotic collision.